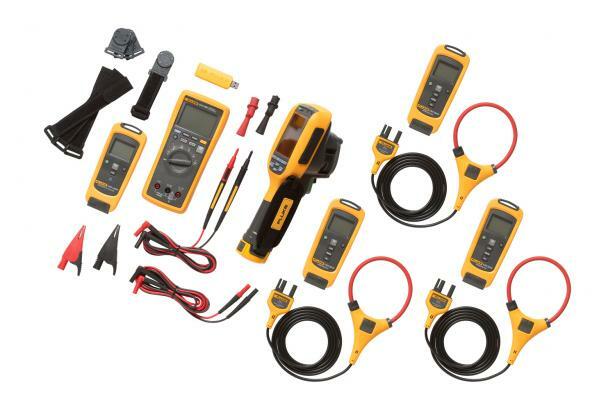 Get all the information you need to quickly troubleshoot problems with the Fluke Ti125 CNX Industrial Kit. IR-Fusion® with AutoBlend- blends a digital and partially transparent IR image into a single image, making problem detection fast and easy. Exclusive IR-OptiFlex™ focus system—ensures that images are in good focus from 1.2 meters (4 feet) and beyond for optimum image clarity and scanning convenience. For shorter distances change to manual mode with the touch of a finger. IR-PhotoNotes™ annotation system—Quickly identify and keep track of inspection locations by adding digital images of important information and surrounding areas. Multi-mode video recording—focus-free video in visible light and infrared with full IR-Fusion. Easily communicate the location of problems with the Electronic Compass (8-Point Cardinal). Get all the information you need to quickly troubleshoot problems with the Fluke CNX™ Ti125 Industrial System. 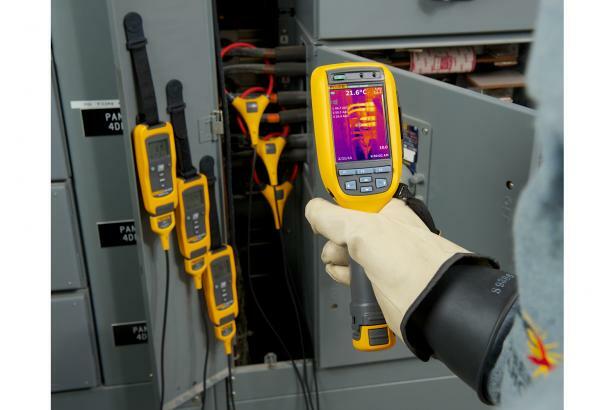 Easily view both voltage and current readings simultaneously from a remote test point with your Ti125 thermal imaging camera. Use the modules as stand-alone measurement tools or combine to capture up to five critical measurements along with the infrared image. Simplify and streamline your reporting with our easy to use SmartView® Software. Download the SmartView Mobile app and you can use your Apple® iPhone® or iPad® to generate a report and communicate your results directly to your client or colleague from the jobsite. Work smarter and faster! Accuracy is specified as ± ([% of reading] + [number of least significant digits]). All ranges are autoranging. Accuracy is specified from 5 % to 100 % of the range obtained by autoranging, from 18 °C to 28 °C. 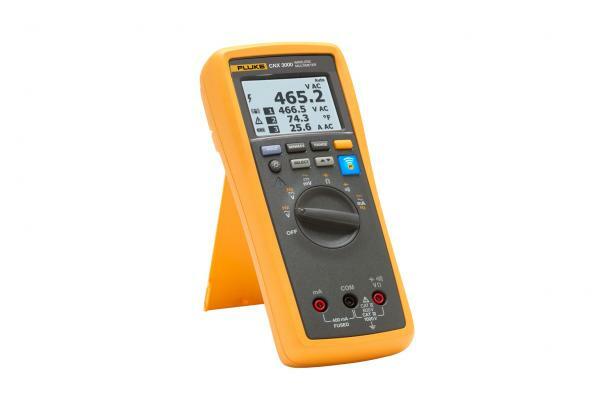 ² Crest factor of ≤ 3 at full scale up to 500 V, decreasing linearly to crest factor ≤ 1.5 at 1000 V.
Get all the information you need to quickly troubleshoot problems with the Fluke CNX™ Ti125 Industrial System. 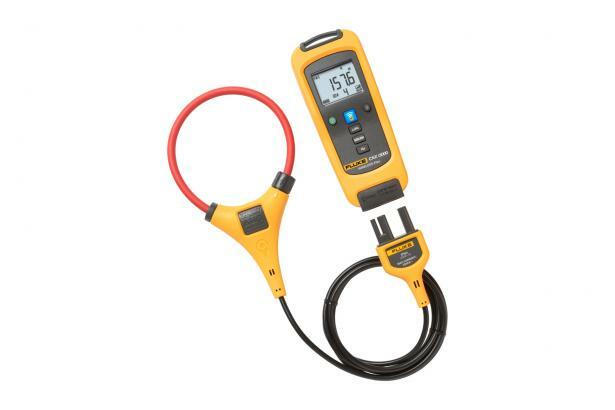 Easily view both voltage and current readings simultaneously from a remote test point with your Ti125 thermal imaging camera. Use the modules as stand-alone measurement tools or combine to capture up to five critical measurements along with the infrared image. Simplify and streamline your reporting with our easy to use SmartView® Software. Download the SmartView Mobile app and you can use your Apple® iPhone® or iPad® to generate a report and communicate your results directly to your client or colleague from the jobsite. Work smarter and faster!